We have you covered on every aspect of the abatement, remediation, and demolition process. Saywell Developments is a local, family run company that offers the fast service and competitive prices you’ve been looking for. When you need professional demolition, asbestos abatement, building gut-outs and more, call us! Our well known abatement division, is fully ticketed, extremely experienced, and hard working. Due to the potential health risks associated with asbestos, contractor selection is the most important. 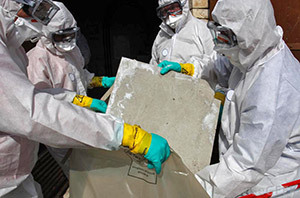 Saywell Developments has removed asbestos-containing material from residential, commercial, government, and military projects for nearly a decade. Our clients can be certain that we will comply with applicable provincial, local and federal regulations at all times during any abatement. Want a few walls down? No problem. Demolish a small home? You got it! Take down an entire school? Sure thing! No matter the size, no matter the demolition – Saywell Developments has got you covered. We are no strangers to demolitions here at Saywell Developments. Our hands on, dependable work ethic is one all our clients get to experience. Just give us a call, step back and relax. Our friendly office staff will be happy to help you. Health, safety and liability issues associated with mold have become one of today’s more sensitive environmental concerns. The adverse effects from mold exposure and the related indoor air quality issues have all been brought to the forefront in recent years. This has resulted in a greatly increased awareness by those affected and greatly increased liability to those responsible. At Saywell Developments we understand these issues and can help by offering solutions that provide relief to all parties concerned. Providing you with a safe environment is our primary goal at Saywell Developments. Lead paint is only safe if left undisturbed. When it is disturbed however, it can potentially result in damages to many parts of the body, including the brain, nerves, and kidneys. This permanent damage can be especially dangerous to children and pregnant or nursing women. If you are considering any type of project that conflicts with lead paint – give us a call! Saywell Developments has performed many lead-based paint abatement projects and utilized a variety of techniques that we can apply to each and every project.